This job was for Villa De Matel, The Congregation of Sisters of Charity. We have done many projects for them over the years. 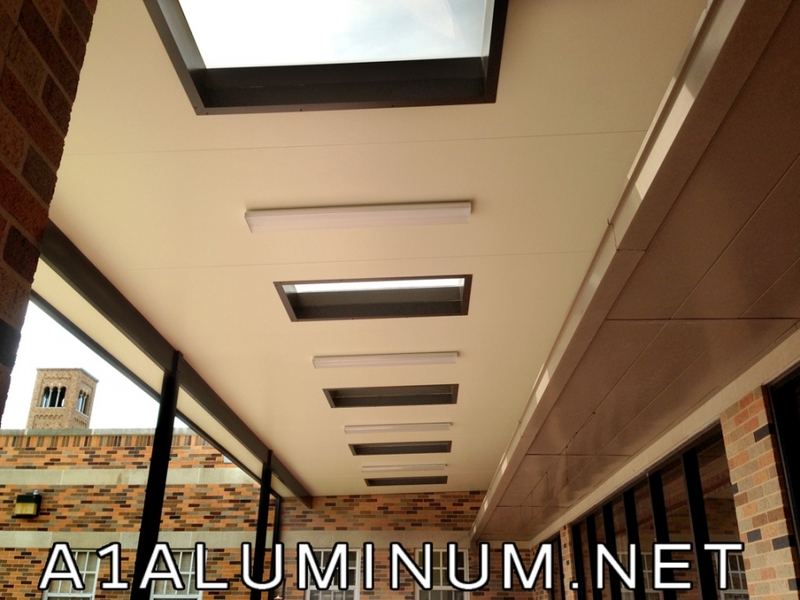 This cover was a 4″ Insulated aluminum flat pan patio cover at a loading dock by the cafeteria. We had to raise it over the vent and build a vertical wall fill panel. Here you can see the fill panel and how it was raised to clear the vent. Mr. P in Baytown had an existing Patio Cover and wanted to screen it in. Can’t blame him, Texas mosquitoes are the size of birds! We used 6″ Cee beams with Deluxe screen wall and kickplates. He also needed 2 screen doors and house gutter. 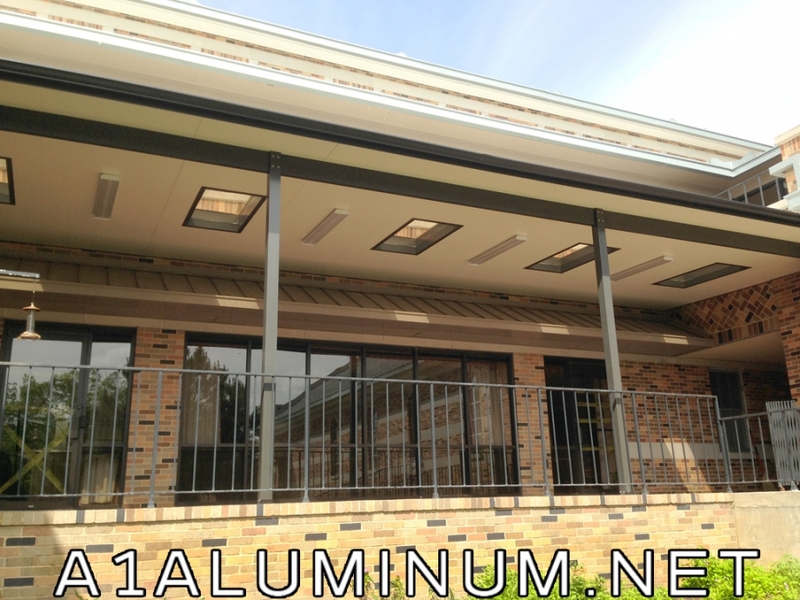 We installed 2 aluminum patio covers on the back of Mr. “M”s house. The first one by the pool and another one further down.